Figuring out what you want out of your life can be hard. When you find it you know there will be struggle along the way. The decisions we make effect not only us but the people in our lives as well. With this in mind you have to learn to take the good times with the bad times. There will always be a nearly constant struggle to living out your dreams. There simply isn’t a way around that. Friends will begin to feel left out and eventually take their leave, some will do it subtly and gracefully, others will take a harsher approach. It can be hard to swallow at times. The family and the friends we have will either be supportive or not. This is something I have had to learn at the start of this year. Telling family that you are leaving them can be nerve racking and very hard depending on how close you are to them. I thought telling our parents that we have decided to move was going to be very hard. I had built that up so much in my mind that I made myself nervous, constantly fearing the worst. Out of the four parents only one was super supportive, and they were the one that I was expecting to be the most negative. It turns out though that the most negative people have been the extended family, and we aren’t even finished telling all of them yet. The ones that have been the worst… are those with a “positive message” with a “negative context”. I have had to learn to take the negative things said and let them wash over me and wave as they pass by. Not everyone is going to agree with our choices and not everyone is going to understand why we do them. They don’t need to! It is our life and our decisions, they don’t need to understand any of them. Friends… well friends can be just as hard as family. The difference is… there will always be more friends. 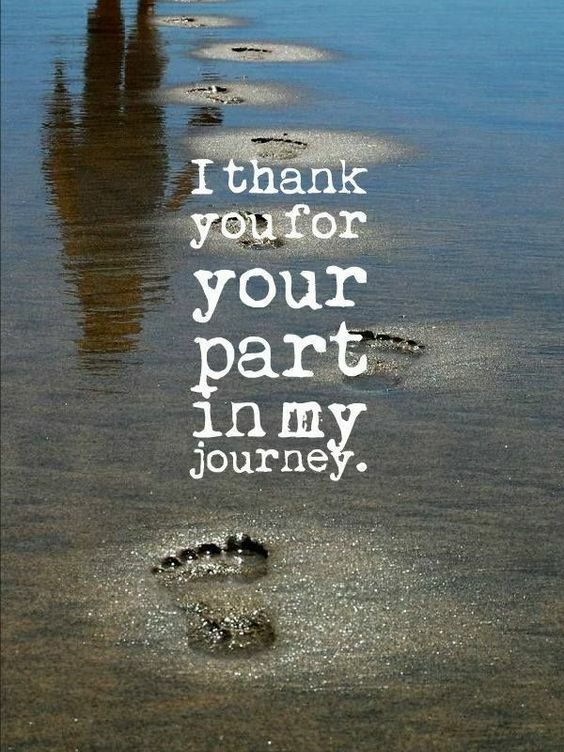 Over the years I have lost my fair share of friendships, as most people have. Recently a friend of nearly ten years took their leave of me. They did it in one of the worst ways possible in my book… an email. It was the most well thought out, destructive, contradicting, ridiculous, email I believe I have ever read in my life. There was no room for a chance to discuss anything. I knew exactly what it was by the first line. Sometimes the best response… is none at all. Over the following days I had to figure out what I was more upset about though. Was it the fact that our friendship ended? Or how it ended? The more I thought about it the more I realized it was how. I realized that I didn’t miss them. I didn’t miss talking or writing or figuring out how to see each other. I realized I had some better friends in my life and I didn’t need their subtle negativity all the time. Its amazing what you notice when you can either step back or are forced to. I could see our entire relationship and how unsatisfying it truly was. Everything that had been done with absolutely nothing in return. After a few days I came across the above quote on Pinterest… and I realized how close to home it truly hit. As we told more friends and family, of our decision to move, the more I could see this in my life. I realized that God was helping us purge the negativity in our life. To get away from the poisonous people holding us back from our success. Family is family… they will almost always be in your life regardless… at least mine will. Friends come and go. Each one has some part to play in our lives but then they move on and we are gifted with better ones. I have some amazing friends in my life! They have truly been with me through thick and thin and never once turned me away. I miss them greatly and wish I could see them more. I thank God for those rocks, those ball in chains, in my life. I can count on them for anything and they will be there with bells on. 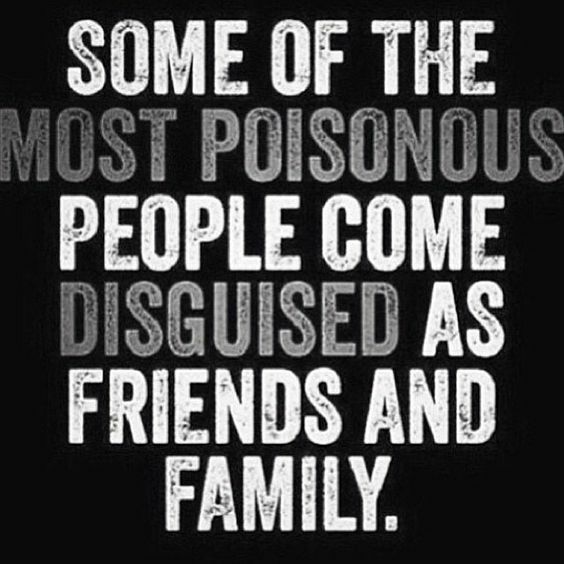 Can you see the poisonous people in your life? Do you really need them there? Or are they just holding you back from something greater? < Previous Don’t Hate MONDAY! Next > Its Hump Day! You are absolutely right. I think this is God’s way of helping you purge the negative people from your life and really figure out who the real gems are. Take the negativity with a grain of salt, listen but don’t internalize. Most of it comes from either jealousy or lack of control in their own lives. A small portion may come from concern, they just may not know how to convey that concern in a constructive way. And, family will be family. They are probably just hurt or concerned because this is a major change for you guys. They have lots of time to get used to the idea and I’m sure some/most of them will learn to accept it and hopefully be more supportive. But you have ther right idea, just let the negativity pass right by you and focus only on the positive. This is a great thing for you guys; just keep swimming!! I love you! It’s hard to realize something when you are so close to them! It really does require a step back in order to see the big picture! We are swimming up stream and we are loving it!